Mix up a couple of authentic American flavors like maple and corn, and what do you get? 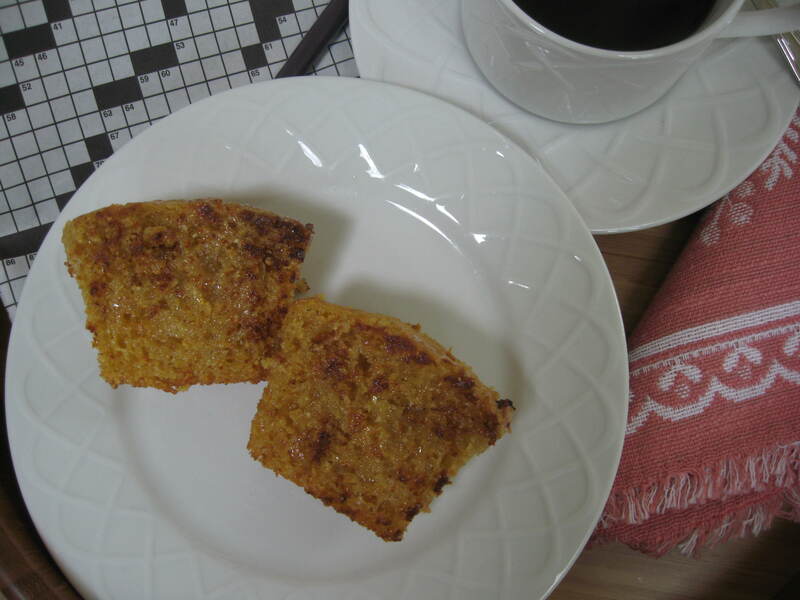 Crumbly, toasty golden muffins just right for a lazy breakfast or afternoon tea. Bake the muffins in paper and they’re great for on the go meals or road trips. Or, simply pour the rich corn batter into a 9×9-inch baking pan, and make yourself a sweet, satisfying bread – nice as a go-with for dinner soups, chilis and stews. 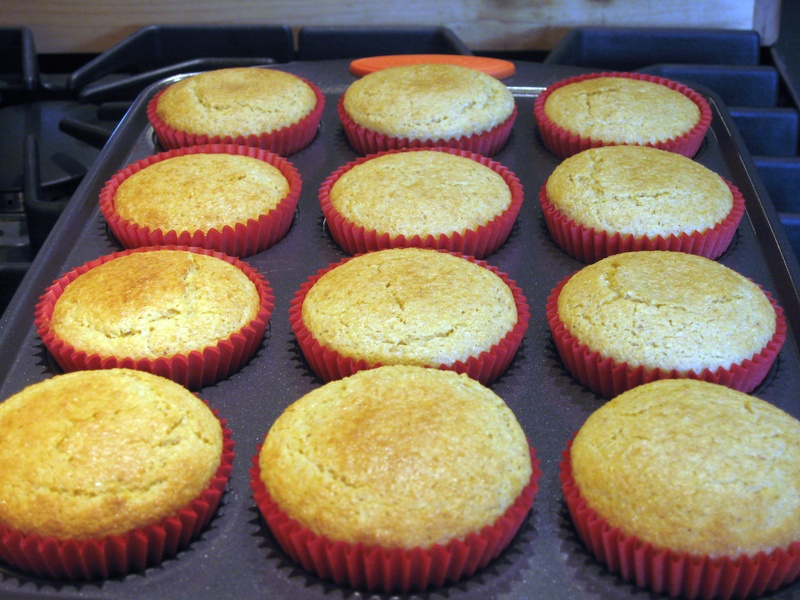 If you like, take your muffins to the next level by making the accompanying Maple Honey Butter. This recipe will produce more than enough for your bread or muffins, but don’t worry, it’s also delicious on toast or pancakes – even popcorn! Preheat oven to 350°. 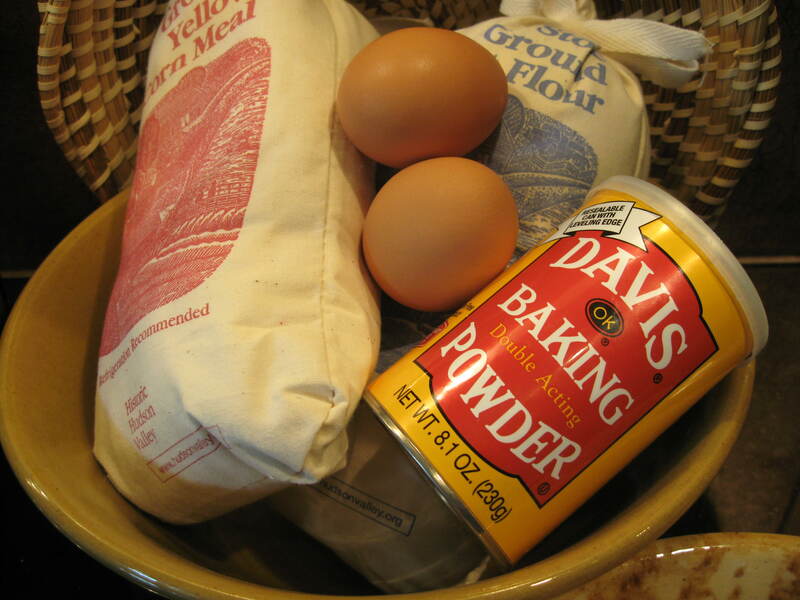 In large bowl, mix together cornmeal, flour, sugar, baking powder, and salt. 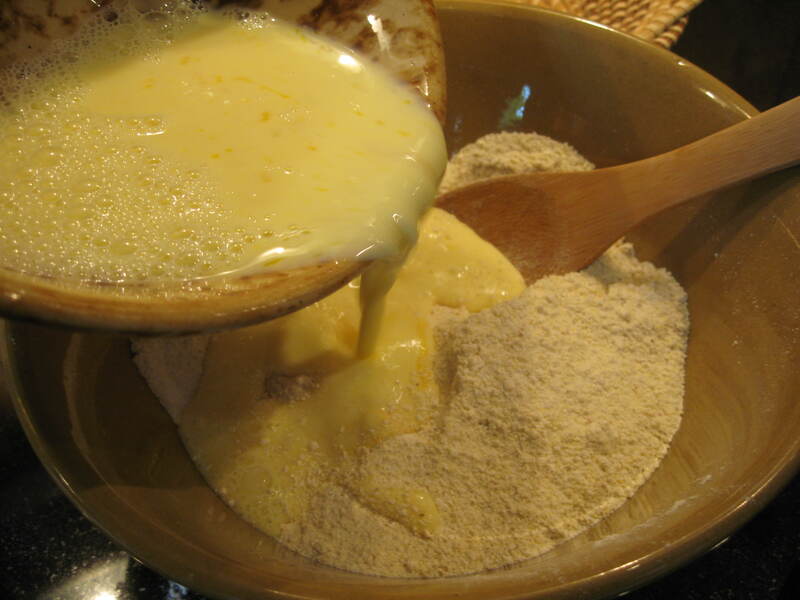 In separate bowl, mix together milk and eggs. 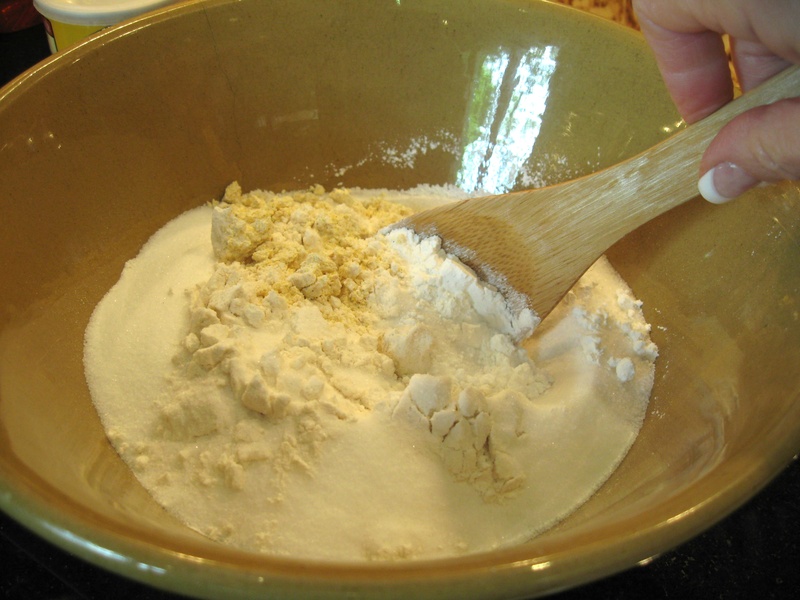 Stir milk mixture into dry ingredients. 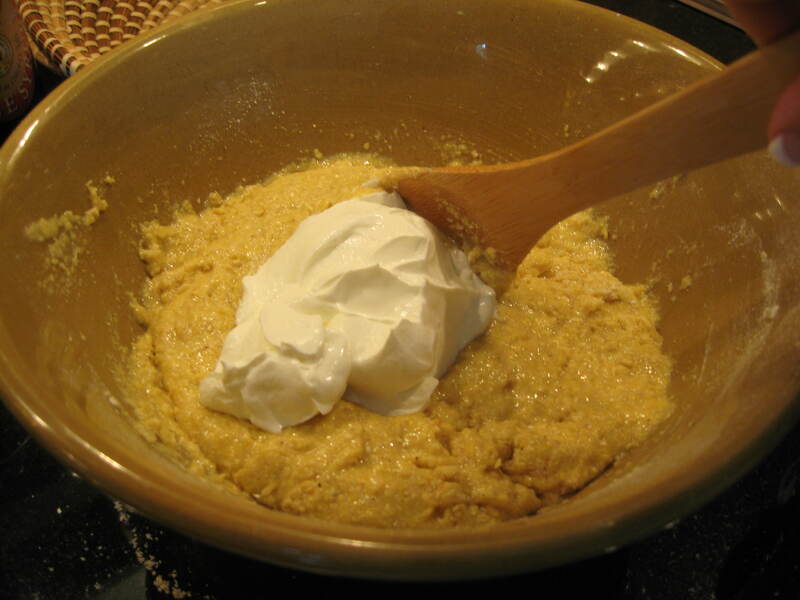 Add sour cream, corn oil and maple syrup, mixing in well. 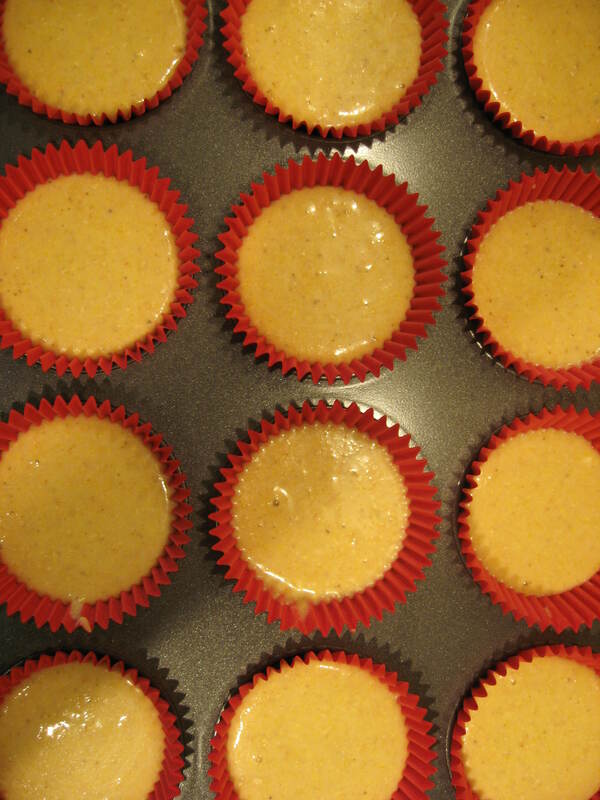 Pour into greased or papered muffin tin. Bake for 25 to 30 minutes until golden brown, or until toothpick in center comes out clean. Serve warm, or toasted, with maple butter. 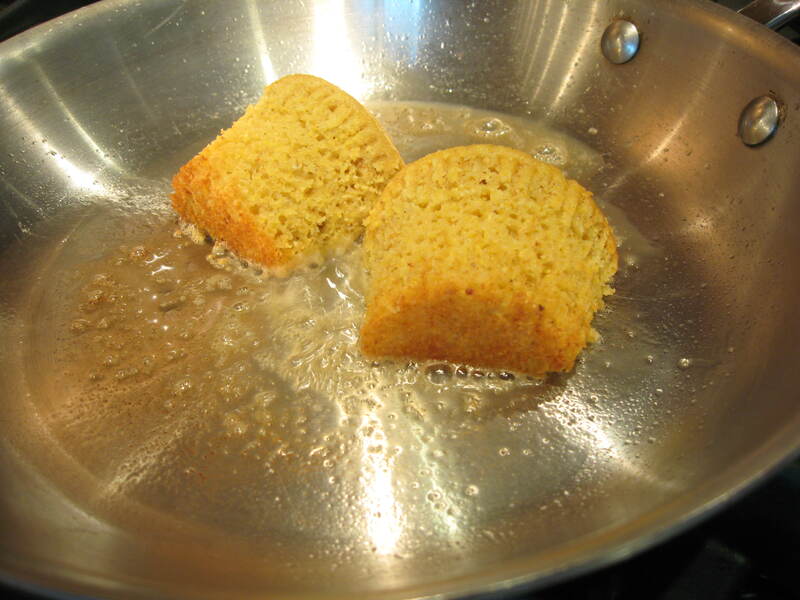 NOTE: Bake in a 9×9-inch baking pan 35 to 45 minutes for a sweet corn bread. This looks great. However, is it really 1 TABLESPOOn of baking powder that’s required or only 1 teaspoon? Yes, it’s one tablespoon. Corn meal, if you use a hefty organic kind like I do, is kind of dense. Thus, a little extra baking powder gives a nice rise. Give it a try! Thanks, I might just do it today! Yay! Don’t forget the maple honey butter, and please let me know how you like the muffins! I made it but replaced the sour cream with yogurt (that’s all I had) and replaced the corn oil (if it isn’t organic it’s most likely GMO) with grape seed oil but could have easily used coconut oil (melted) as well. I also threw in a handful of dried cranberries. Voila,.. very nice. I topped them with my homemade peach jam, BTW. Nice! Cranberries and homemade peach jam sound like great additions. Thanks for telling me! Looks delicious. 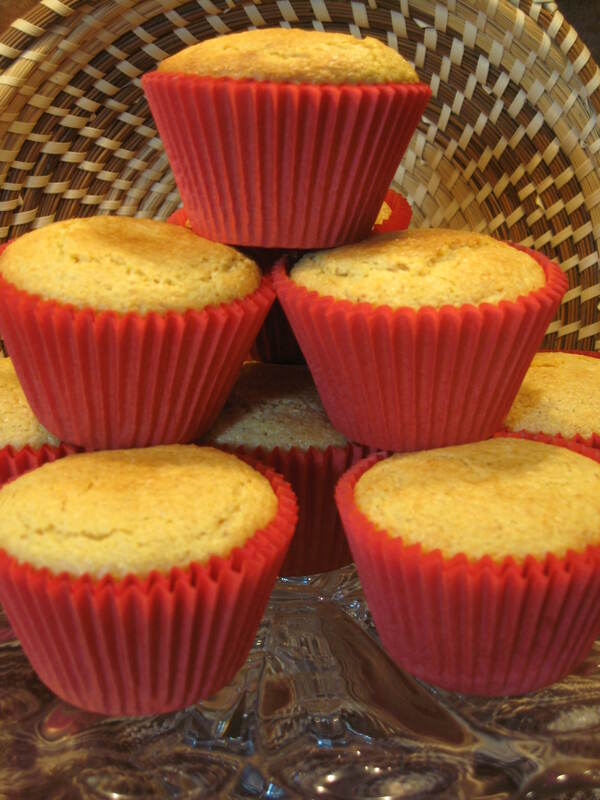 I love corn muffins. MUFFINS PAN-FRIED IN BUTTER??? I knew there was a reason why I was following you 🙂 Looks wonderful! :-). You crack me up Daisy!